Are you worried about the pollution in tap water, but find bottled water expensive and wasteful? Have you tried other filtration devices, but were dissatisfied with the taste? 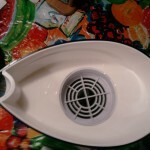 The Archbrook Laguna ZeroWater 8-cup Filtration Pitcher ZD013 may be the answer! 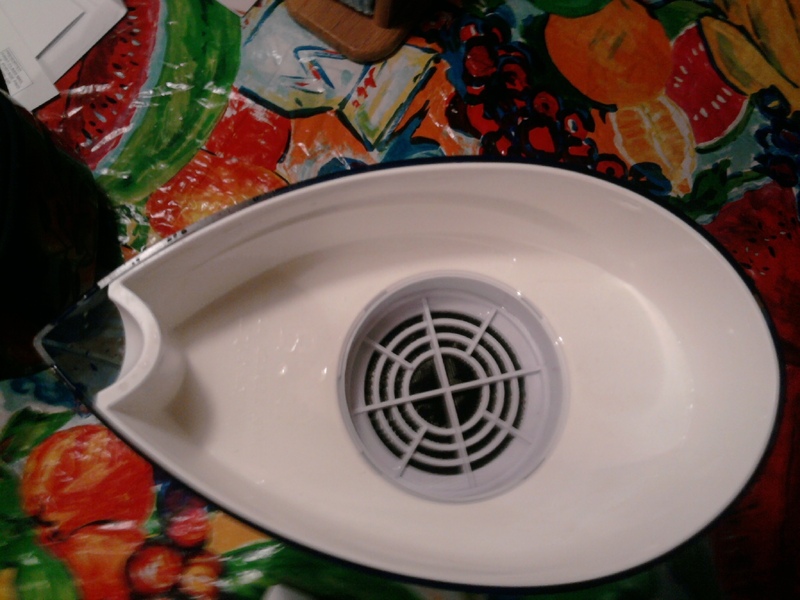 This “Z-Pitcher” delivers on its promise to purify water, and has satisfied both me and the majority of other users. The ZeroWater Pitcher is unique in that it uses a 5-stage filter with Ion Exchange Technology, which replaces contaminants’ ions with water ions. These filters produce the only filtered water up to FDS standards for dissolved solids in bottled water. It is entirely BPA free, and can be found for as low as $32.00 online. This deal includes both a filter and an electronic TDS meter to read the number of detectable dissolved solids, so consumers can see the numerical difference between their tap and filtered water. 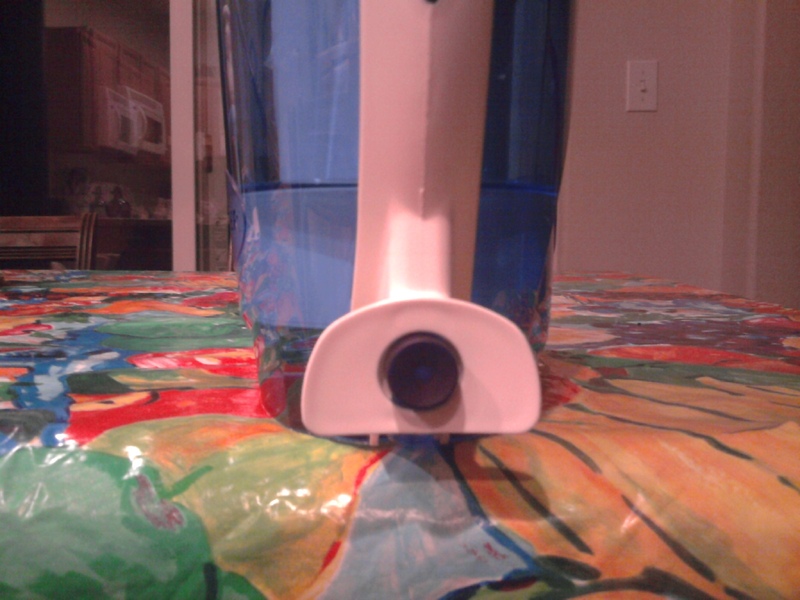 A view of our ZeroWater pitcher from the top, where unfiltered water would be poured. I thought when we bought our Archbrook Laguna model ZD-103 filtration system that $35 was a little steep for an 8-cup pitcher, but quickly became a convert once I saw the readings and tasted the newly filtered water. I had never been a fan of water from carbon filters—thought it tasted strange—but this water tasted like bottled water, maybe even better. I hunted around for other reviews online, and everyone was on the same page. Zerowater tastes amazing, tests low or completely pure for TDS, is cheaper than buying a bunch of bottles that will just end up in the landfill. Its filter is even recyclable! 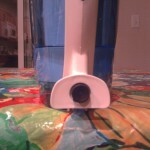 A view of out Zerowater Filtration Pitcher's spigot. A couple of people complained about having to change filters all the time, as they live in areas where the baseline of TDS in the tap-water was over 300. This is troubling since replacement filters run around $13 apiece, which can quickly add up. Another potential downside is that the filtration system, while excellent, runs incredibly slowly…ours takes thirty minutes to filter water through when the pitcher is empty, and up to 4 hours when it’s closer to full. Meanwhile, you can’t pour water via the spout because unfiltered water will spill out, and the tap at the bottom runs annoyingly slow. Still, I would recommend this product, even to people who have high TDS readings. 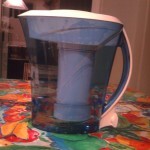 The Archbrook Laguna Zerowater 8-cup filtration pitcher ZD-103 may be a bit expensive, but less so than bottled water. It’ll make your taste-buds—and your body—happy.